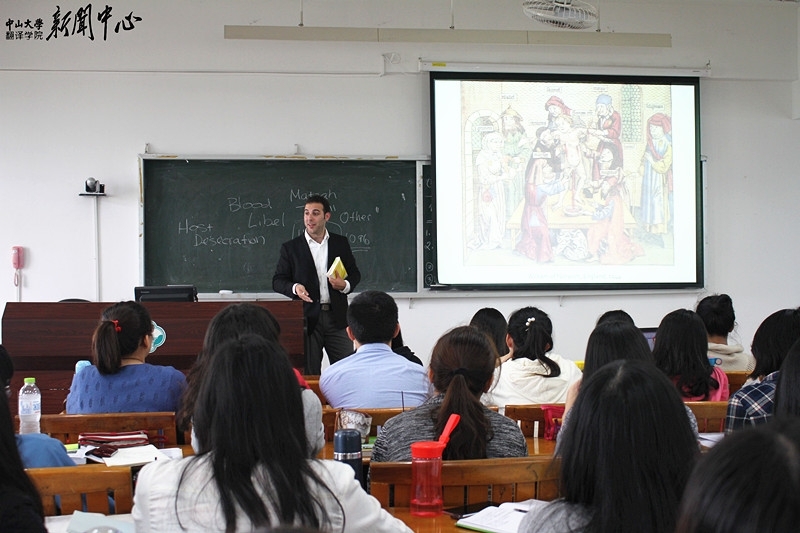 On March 26, 2015, HKHTC’s Director of Education, Simon Goldberg delivered a lecture to some 50 undergraduates at China’s Sun Yat-sen University, entitled “Foreshadowing the Holocaust: Antisemitism in European History”. The lecture traced the origins and evolution of religious antisemitism in the Middle Ages, through the Crusades and the Spanish Inquisition. Simon also discussed the emergence of political anti-Semitism, and later, racial anti-Semitism in Europe. A Q&A session with students followed, which focused mainly on the legacy of the Holocaust and issues around reconciliation.